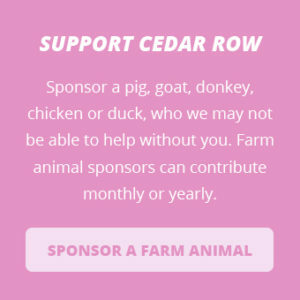 Cedar Row Farm Sanctuary is NOT OPEN TO THE PUBLIC; work visits are listed on the Work Visits Page. We also have two annual open houses, one in the summer and one in December, that you are welcome to attend. Take Highbury Ave out to Bryanston and turn right on to Plover Mills Rd. Follow Plover Mills RD (take the big bend in the road) until you reach Wellburn and turn right on to Gregory Drive also called RD 96. Follow Gregory Drive, (also called RD 96), until you reach ZORRA LINE 15 and turn left. 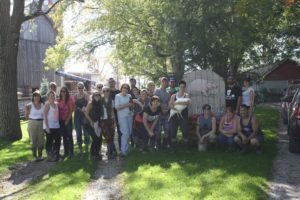 Cedar Row Farm Sanctuary is the 4th place on the left.